#90 is Semya! Congrats, I'll be in touch soon. Thank you Kate for such a generous giveaway! I wish you and the Flapperdoodle girls a very happy holiday! 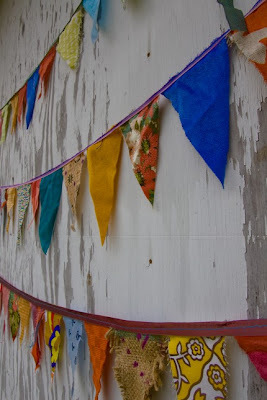 Recently, I had been searching for the perfect bunting for my office. Luckily, this weekend at a different craft fair in Athens, I found the ONE and I couldn't be happier with it. I spoke with Kristen, owner of beauty everyday and creator of these lovely peace flags, and she graciously agreed to offer a giveaway on D&OC (lucky us and don't say I never did anything for you). 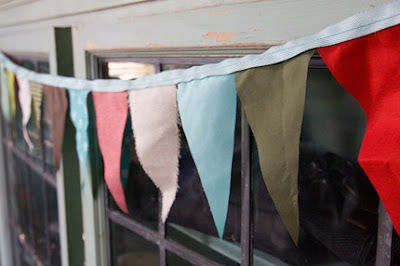 The bunting I now have hanging in my office is made from the softest materials and it's HIGH quality, unique fabrics. Use them around the house, to decorate for the holidays, in your office, or give them away in a stocking. Each set is completely unique and can be used regardless of the season. I am confident you will LOVE these as much as I love mine (they've made many a co-worker smile). 1. Visit the shop and tell me what you like (1 entry). Good Luck! Winner will be announced Friday morning. The brown tree of life shirt is the bomb! I love it! Oh wow, that's lovely. Beauty Everyday's gone straight to the etsy faves! I like the Peace Flags the best. I would so love to hang the bunting in my study over the computer desk! Rah rah! PS I facebooked this post too! The shop is lovely. I love the ribbon garland. It is so pretty and creative. I would love to put the peace flags up in my daughters nursery. Down and Out Chic is doing a giveaway http://bit.ly/7icSSZ! Lovely! I definitely like the Peace Flags best. I would put my bunting on my stair railing. I'm renting a townhome, and it has that blah iron stair railing. I've been trying to figure out a way to dress it up for quite some time. oo I love the brown tree of life t!! I really like the beauty book, it's so pretty! I love the brown tree of life shirt. It's very fun. What a great giveaway! So fun... these would definitely go in the playroom! peace flags are my fave! I would hang it on my mantle of course! I have a "holly jolly" banner there now and it would be the perfect replacement come January! my favorite item is the peace flags - i love that it is made from all her scraps and recycled things! what a great use for things that people normally throw away! The Brown Tree of Life is splendid. Thanks for the chance to win this lovely stuff. I have been wanting a bunting lately so this is a perfect give-away as far as I'm concerned. Off to tweet about it! i would hang it in my entry way as a cheery welcome home! I love these peace flags SO much! And the ribbon garland...so creative! And I think I would hang it on the wall behind my bed, kinda a psuedo headboard thing. Gorgeous! My home office could use a little punch of color! 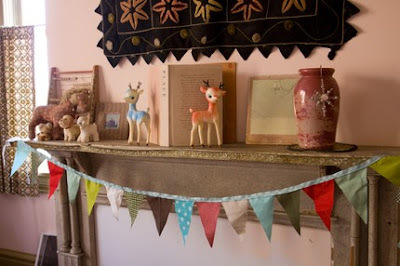 my favorite item is definitely the holiday peace flags, they are just so pretty and delicate! I love the holiday peace flags:) As well as the beauty books!! I LOVE the holiday bunting colors and fabric selection. So so charming! I like the combination you have:) did you custom select those colors??? they are beautiful! I actually really liked the postcards. I'm a post card lover anyways, but that shade of blue is lovely. 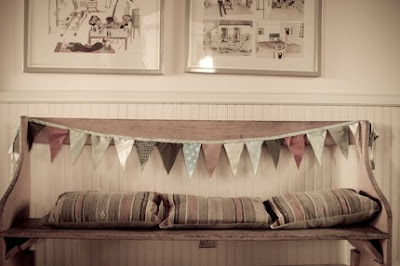 I think the bunting would look great in my home office. It needs a bit of color. I love these peace flag s but the brown tree of life tees are gorgeous as well. I think I'd hang them in my living room to give it a bit of extra cheer.